Let’s look at this in the Wako Comic Strip #11! EDIT of the 10/11/15 : Finally! You were hopping up and down with impatience, right? And…the most elected color is red… and white! Yeah, there was a draw. No matter! Hidenori will have an alternative color in the coop mode. 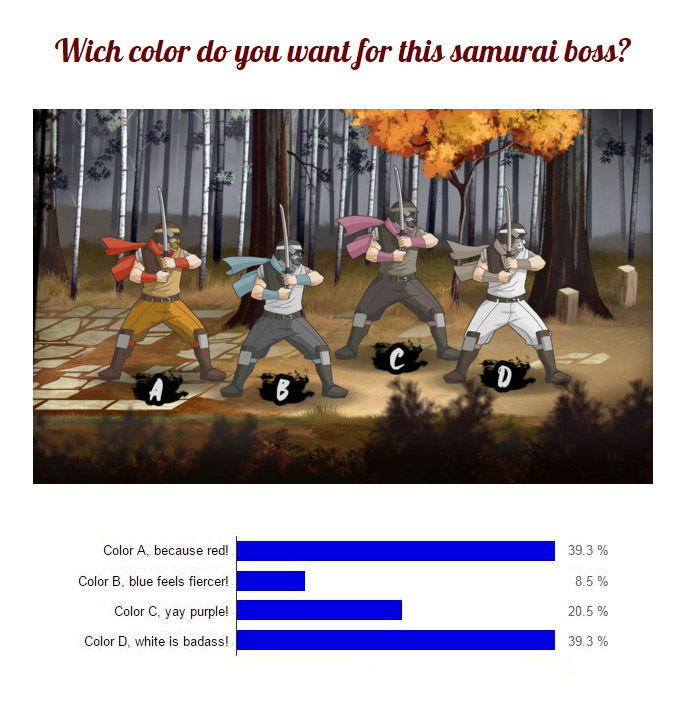 This time we need you to choose the color of Hidenori Jun, the first boss of the game. Which one do you prefer? Game developers go through many phases while they’re working on a video game! Sometime things are just fun and easy and sometime it can be a real mess! Let’s look at this in the new Wako Comic Strip! Support us and vote on our Square Enix Collective campaign! 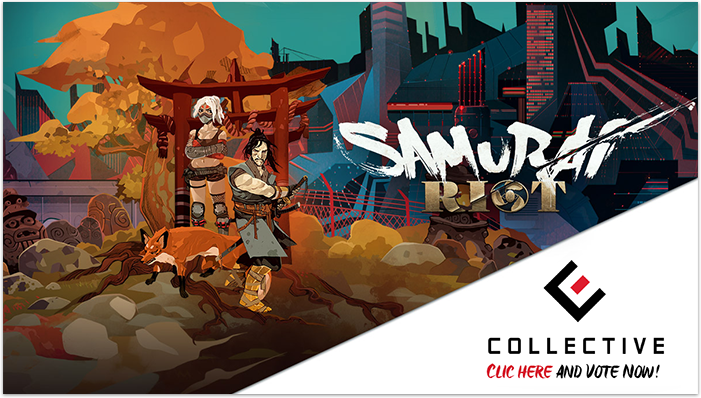 Discover our facebook page and follow us on our journey in the making of Samurai Riot! Have you seen the new Samurai Riot video teaser? Don’t forget to give us your feedback!